UMBC has landed Providence transfer Ricky Council, source told ESPN. Ricky Council II has made it official and is transferring to UMBC (University of Maryland, Baltimore County). Council will have to sit out next year per NCAA regulations and will have two years of eligibility remaining after that. Here is the initial post I wrote about Council when he first announced he was transferring from PC. 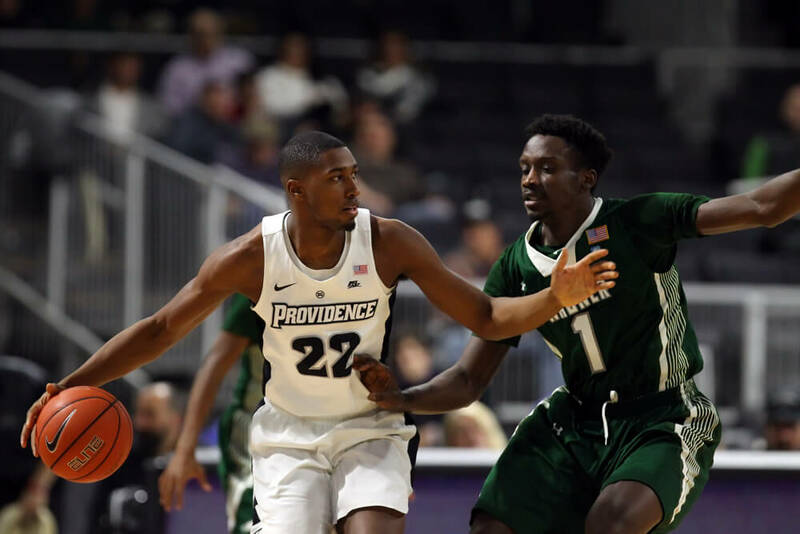 Council was never able to force himself into the rotation in his two years at Providence College under Ed Cooley, tallying a grand total of only 66 minutes (3.3 mpg) across two years while in uniform. In that short playing time, Council scored a grand total of 17 points and all but 1 of his 25 shot attempts were from three-point range. Unfortunately, he was only 4-24 (16.7%) from three over that span. To be fair, it’s almost impossible to have any kind of rhythm on your shot when you come in sporadically and only at the very end of the game so I’m not sure how much stock you can really put into those shooting numbers. You can however, easily see that he loves to shoot from long range. Council, a former three star recruit out of Moravian Prep in Durham, NC was billed as a guy with long range ability coming out of high school. Moving over to the American East conference to a top half of the league team may just be the right fit for him going forward. I think an increased amount of steady playing time will make him more comfortable on the floor and could translate to an increase in confidence for the young man. Here’s a little mixtape from his time at Moravian Prep. Ricky has very good size for a shooting guard (6’5”, 200 lbs. ), that could eventually pose match-up problems for teams playing UMBC in his upperclassman years. It would probably go a long way to develop a go-to post move that he could use when matchups dictate that he could take advantage of a smaller player in the American East conference. As far as UMBC as a team…they finished 5th in their conference last season in a year dominated by Vermont who went undefeated at 16-0 in conference play, the first time a team has done so in the conference. The team’s overall record was a respectable 21-13. UMBC has one NCAA tournament appearance in their team’s history, a 66-47 loss to Georgetown in the first round of the 2008 season as a #15 seed. Taking a look at their roster, let’s see what year some of their better players are to try and get a feel for where Council can fit in after next year. Jairus Lyles (18.9 ppg/6.6 rpg/2.6 apg) – Will be a Senior next year. Will Darley (16.2 ppg/3.9 rpg/1.9 apg) – Will graduate this year. Joe Sherburne (10.9 ppg/4.0 rpg/1.6 apg) – Will be a Junior next year. K.J. Maura (8.9 ppg/2.8 rpg/4.3 apg) – Will be a Senior next year. Rodney Elliott (8.3 ppg/1.9 rpg/1.5 apg) – Will be a Senior next year. Jourdan Grant (7.1 ppg/3.3 rpg/2.0 apg) – Will be a Senior next year. Nolan Gerrity (5.2 ppg/4.2 rpg/0.5 apg) – Will be a Junior next year. Out of the top 7 scorers from last year’s UMBC Terriers squad, 1 is graduating this year and 4 will be Seniors for the upcoming season when Council will be sitting out and graduated by the time he is eligible to play. Joe Sherburne and Nolan Gerrity are the two players who will Seniors when Council will be suiting up. Sherburne is a 6’6” Guard who can shoot the three, connecting on 45.0% of his three pointers last year on 4.4 attempts per game. Gerrity is a 6’10” Forward who was already second on the team in rebounding in his Sophomore season. Sherburne looks to be similar to what Council wants to be as a player, but I can still envision them playing next to each at the 2 and 3 spot based on both of them having good size. From all accounts, Council was a really good teammate and excelled in the classroom as well. Here’s to wishing him the best of luck in his new opportunity and to his future success both on and off the basketball court.